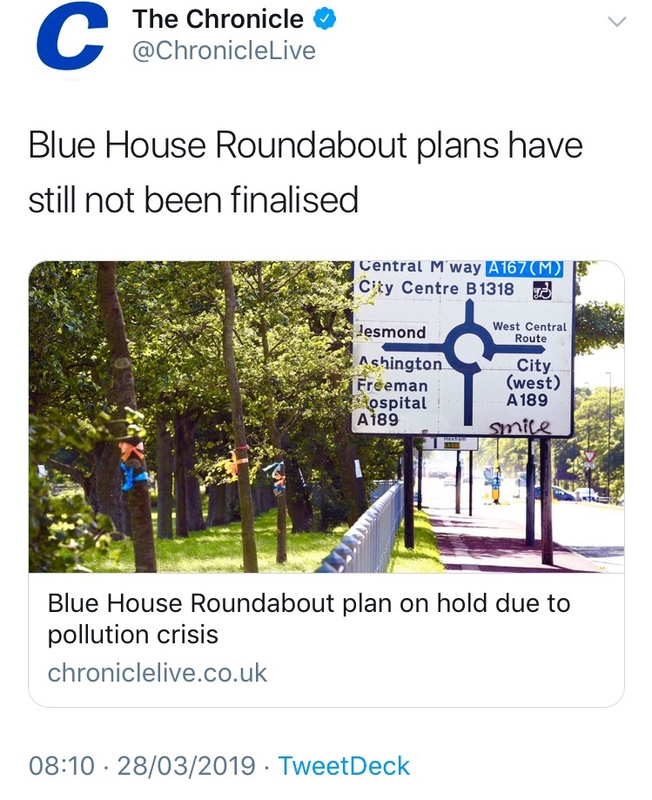 The Evening Chronicle has reported that the plans to overhaul Newcastle’s Blue House roundabout are ‘on hold’ because of the city’s pollution issues. 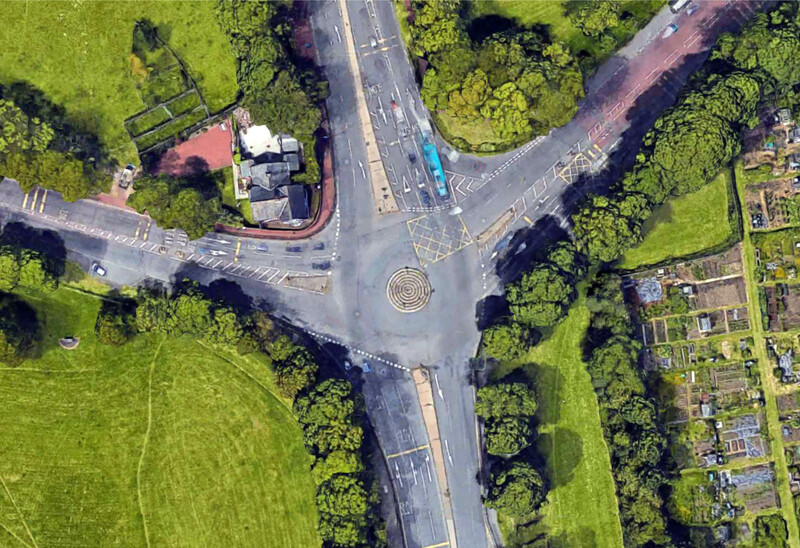 Newcastle City Council first unveiled its plans to make major changes to the Blue House Roundabout in 2016. 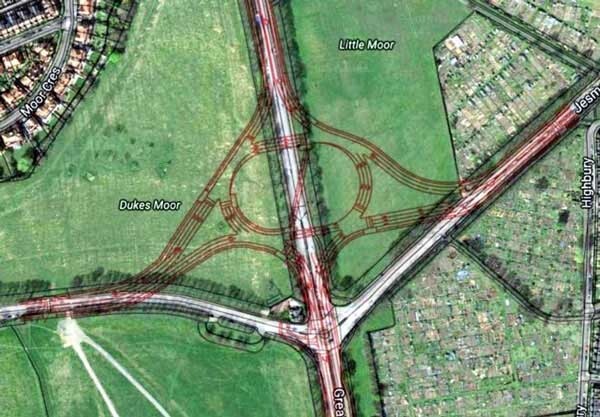 The original plans were for a so-called ‘mega roundabout’ to be built on the Town Moor. There was substantial concern from local residents and huge protests took place which saw the original proposals abandoned. High West Jesmond Residents Assiciation (HWJRA) represented the views of local residents at the time and opposed the 2016 plans. Subsequently HWJRA, together with Jesmond Residents Association, West Gosforth Residents Association and others were represented on the Blue House Working Group which was then set up to consider alternative suggestions. You can read a background summary on the Blue House Roundabout here. It’s now more than a year since an the alternative proposal from the Blue House Working Group was unveiled and it was expected that a response from Newcastle City Council would be announced soon. 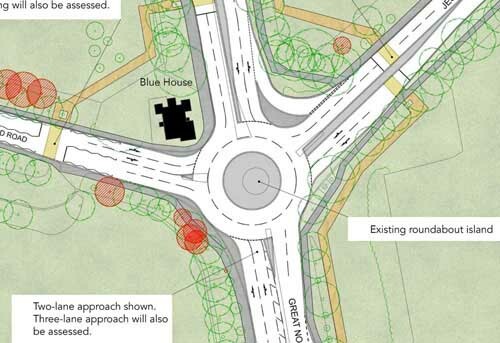 It was anticipated that final designs for Blue House roundabout were being developed and modelled based on recommendations from the working group set up following the backlash to original proposals in the summer of 2016. And these final plans were anticipated to be publicised this summer. The Evening Chronicle has reported that plans for the Blue House roundabout have been put ‘on hold’. 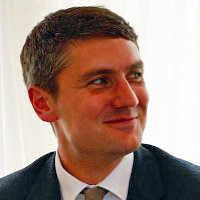 “We need to take into account the consultation on air quality. At the moment, both the Blue House roundabout and Haddricks Mill both feature as part of the Clean Air Zone – we have been clear that we are open to different ideas and interpretations and are consulting on an alternative. “We need to understand where we are going with that piece of work before we can commit to the design of the Blue House roundabout. We have said that we will deliver improvements there not all at the same time — we are doing Killingworth Road, then Haddricks Mill, then Blue House roundabout.